TORONTO, January 22, 2019 – Welcome to the third edition of the weekly Woodbine Snowbirds Report, now in its eighth year, chronicling the winter adventures of Woodbine-based trainers and jockeys currently plying their trade south of the border. This week, we check in with trainer Kevin Attard, who was one of six Woodbine trainers to make a trip to the winner’s circle in racing action last week. Attard sent out Starship Jubilee to a win in the Sunshine Millions Filly and Mare Turf at Gulfstream Park on January 19. Attard had three other runners last week, including Time to Travel (5th, January 19), Copper Fox (6th, January 20), and Piven (9th, January 20). Starship Jubilee captured the Sunshine Millions Filly and Mare Turf for the second year in a row on Saturday afternoon. She was wide on the first turn, but proved to be much the best, winning by 4-1/2 lengths. Starship Jubilee recorded the 12th win of her career on Saturday after running fourth as the heavy favourite in the Claiming Crown Tiara Stakes back on December 1. After winning the Grade 2 Canadian Stakes and finishing fourth in the Grade 1 E. P. Taylor Stakes at Woodbine in the fall, Starship Jubilee also went through the ring at the Keeneland November Breeding Stock Sale, where she did not meet her reserve. Attard said a break in training during the sales process could have led to the result in the Claiming Crown. Attard said Starship Jubilee would get a break following the Sunshine Millions Filly and Mare Turf and is targeting a start in the Nassau Stakes at Woodbine towards the end of May. Attard’s stable is currently split between horses getting a rest on the farm here in Canada, horses with Attard at Gulfstream Park, and some on the farm in Ocala, Florida. Attard said he has 12 horses currently at the track. Among the horses on the farm in Ocala are some of Attard’s three-year-olds, including Simcoe Stakes winner Blessed Two. 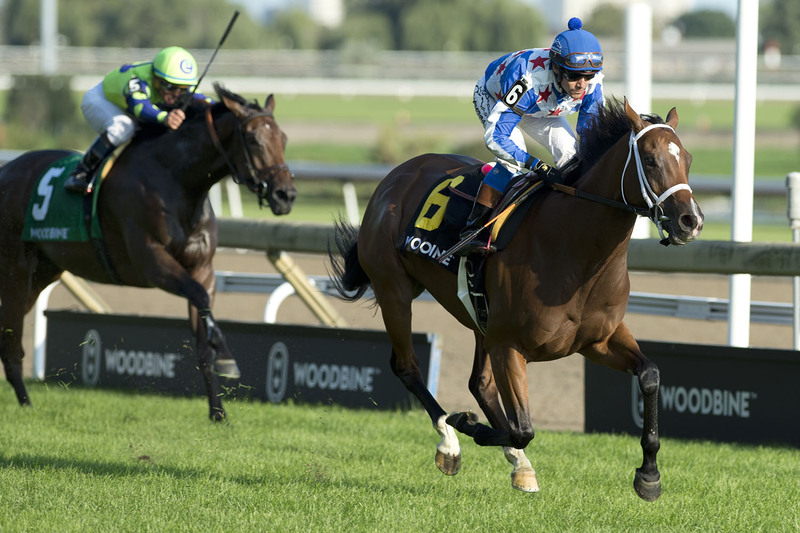 Attard said the three-year-olds would begin their training soon with the Canadian Classics like the Woodbine Oaks and Queen’s Plate in mind as long-term targets. Attard finished off the Woodbine meeting strongly, highlighted by winning the Grade 3 Valedictory Stakes with Pumpkin Rumble. 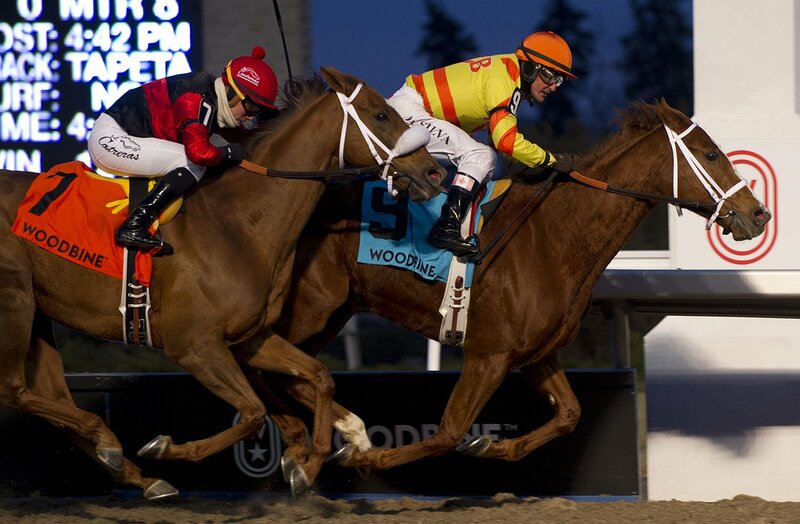 Attard said Pumpkin Rumble is getting the winter off on the farm in Canada, and should be ready to ship-in to Woodbine once the backstretch opens in February to prepare for a 2019 campaign. “He’s going to have a regular routine break like last year and get ready to gear up for Woodbine when the track opens,” he said. It was another big week for trainer Mark Casse, who was featured in last week’s Snowbirds Report. Casse recorded six wins from 27 starters last week, highlighted by War of Will’s victory in the Grade 3 Lecomte Stakes at Fair Grounds on January 19, earning 10 points towards Kentucky Derby qualification in the process. Two other Casse runners recorded stakes wins on January 19, including First Premio in the Colonel E. R. Bradley Handicap at Fair Grounds and Souper Tapit in the Sunshine Millions Classic Stakes at Gulfstream Park. Casse’s other winners last week included Yes I Am Free at Gulfstream Park on January 17, Chocolate Kisses at Fair Grounds on January 18, and Justcallmenorman at Gulfstream Park on January 19. Michael Maker won three races from 12 starters last week, which included victories from Bodie Tap at Gulfstream Park on January 19, Kentucky Allstar at Turfway Park on January 19, and Lethal Levy at Fair Grounds on January 20. Maker also recorded three runner-up finishes and one third-place finish from 12 starters last week. One of those runner-up finishes came from 2016 Queen’s Plate winner Sir Dudley Digges in the Colonel E. R. Bradley Handicap at Fair Grounds on January 19. Barb Minshall had a pair of winners from three starters at Tampa Bay Downs last week, as Admiralty Pier won on January 18 and Blue Eyed Girl won on January 20. Minshall also sent out Another Time to a third-place finish in the Gasparilla Stakes on January 19. Roger Attfield sent out Magic Tapit to victory at Gulfstream Park on January 19. Bill Tharrenos also recorded a winner at Gulfstream Park, as Dexter Road won the fifth race on January 16. Five Woodbine jockeys also recorded wins last week, including Luis Contreras, who had another big week at Sunland Park. Contreras made another six trips to the winner’s circle last week, which included wins with Howdy, Vic Tories, and L. A. Tower on January 15, Solar Effect on January 19, and Gunners One and Soaring Cid on January 20. In all, Contreras recorded six wins, a runner-up finish, and six third-place finishes from 16 starters between Sunland Park at Gulfstream Park last week. Rafael Hernandez reached the winner’s circle and also hit the board with all five of his mounts last week. Hernandez recorded his win on January 18 at Aqueduct aboard Bee’snbee’s, and finished third on his remaining four mounts of the week, including on Another Time in the Gasparilla Stakes at Tampa Bay Downs on January 19 for Minshall. Kirk Johnson recorded a win aboard Commissioned on January 19 at Mahoning Valley. Johnson recorded a win, a runner-up finish, and a third-place effort from 12 starters last week. Ademar Santos won a race last week on Over to You at Tampa Bay Downs on January 18. Santos also recorded a pair of runner-up finishes and a third-place finish from eight starters last week. Chantal Sutherland also found the winner’s circle aboard McIlhenny. In addition, Sutherland recorded a runner-up finish and two third-place efforts from nine starts last week. Isabelle Wenc finished second on Deputy Wanda on January 15 at Mahoning Valley in her only mount of the week. Jerome Lermyte had three mounts at Fair Grounds last week, including Osage Moon (10th, January 19), Mo Speed (DNF, January 19), and Temper’s Tale (11th, January 20). Here’s a look at how the other Woodbine trainers fared last week, in alphabetical order, starting with Willie Armata, who recorded a fourth-place finish with Easy Bid at Penn National on January 17. Josie Carroll sent out a pair of runners at Gulfstream Park last week and hit the board with Drink in My Hand, who finished second in the seventh race on January 20. Carroll’s other starter of the week, He’s a Macho Man, finished ninth in the ninth race at Gulfstream on January 18. Steven Chircop recorded four third-place finishes from six starters last week, including First Shot (January 17), Another Girl (January 17), Cape Romance (January 18), and Bilky Bluz (January 18), all at Penn National. Chircop also sent out J M R Victory Lap, who finished fifth at Penn National on January 18, and Josephine, who finished seventh at Penn National on January 20. Black Sea finished second at Gulfstream Park on January 17 for Nicholas Gonzalez. Michael McDonald sent out a pair of runners at Gulfstream Park last week, including King Kingo, who finished third in the second race on January 20. McDonald’s other starter of the week, Major Kelly, finished fourth in the fifth race on January 18. Gary Dove finished ninth at Gulfstream Park on January 19 for Steve Owens. Gerald Seymour sent out Stokes to a seventh-place finish at Aqueduct on January 19. John Simms recorded a pair of fourth-place finishes at Tampa Bay Downs last week from Chilling Secret on January 16 and Gold Shark on January 18. Cerrado finished eighth at Gulfstream Park on January 19 for Daniel Vella. This entry was posted in Woodbine News and tagged Barb Minshall, Barbara Minshall, Bill Tharrenos, Blessed Two, First Premio, Kentucky Derby, Kevin Attard, Luis Contreras, Mark Casse, Michael Maker, Pumpkin Rumble, Rafael Hernandez, Roger Attfield, Sir Dudley Digges, Snowbirds Report, Souper Tapit, Starship Jubilee, War of Will, Woodbine. Bookmark the permalink.